There was an adverse weather forecast of winds gusting to over 45 mph. 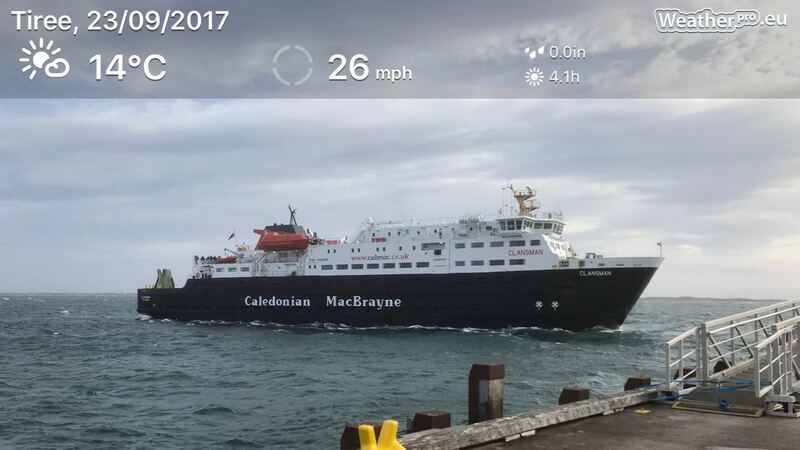 The MV Clansman was sailing to Tiree under a revised timetable. 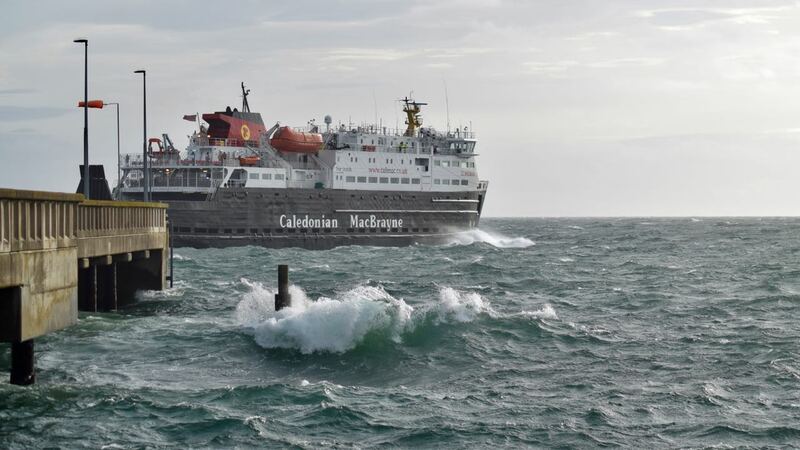 The ferry departed Oban at 6:15am sailing directly to Tiree. She berthed at Tiree at 9:32am. The weather photograph only tells part of the picture. The SE Wind was gusting up to 44 mph. This was far from ideal conditions. The skipper brought the bow across the pier’ roundhead. This action was to permit the bow and midship ropes to be caught. A member of the crew throws these ropes from high up on the midship. The pier staff had to work as a team in very demanding conditions on the roundhead. Keep in mind the fact that the vessel alters the strength and direction of the wind. From high up on the midship the leading rope was thrown. However it took three attempts for the ropes to be caught. This was not down to lack of skill or team effort. The wind simply whisked the rope away. 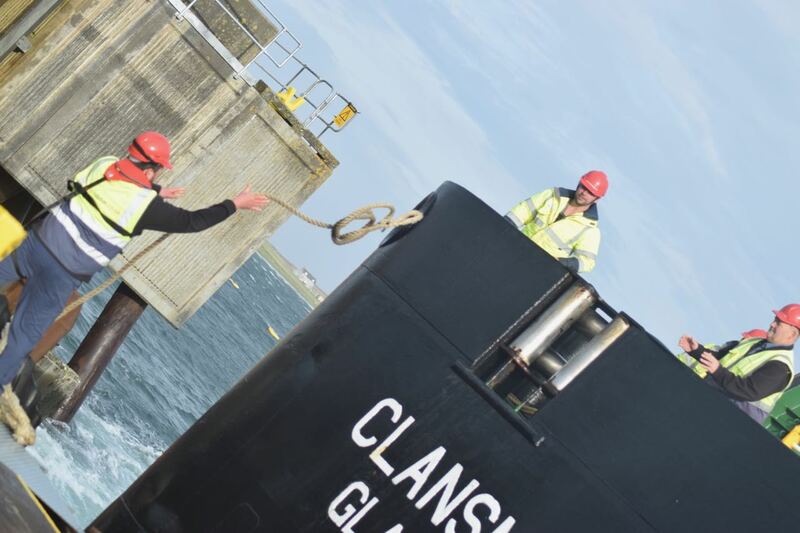 With the bow ropes secured the stern was brought alongside. The heavy stern ropes were thrown and caught. You could hear the tension they were under. On board passengers had been watching anxiously. Out on deck and in the Mariner’s Cafeteria passengers looked on. In such circumstances there is the possibility the vessel cannot berth. Will we be able to disembark? Foot passengers as well as vehicles used the stern ramp. 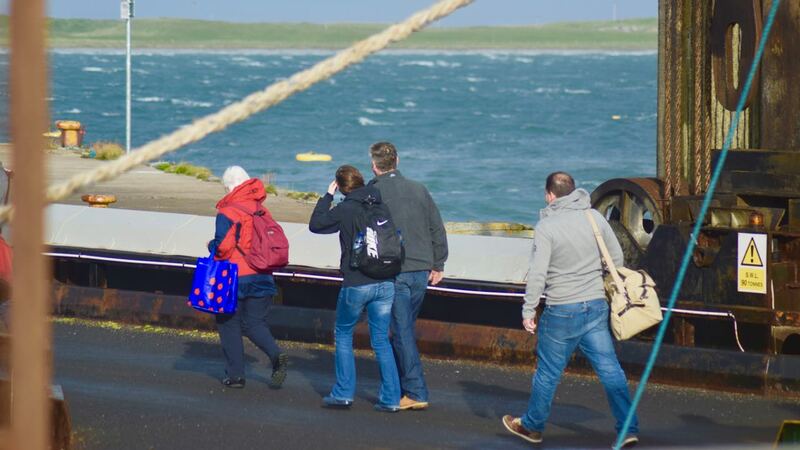 There was no waiting around and the ferry left for Coll five minutes early. Sailing under a revised timetable there was only one visit to Coll. This visit was being made on the return journey to Oban. 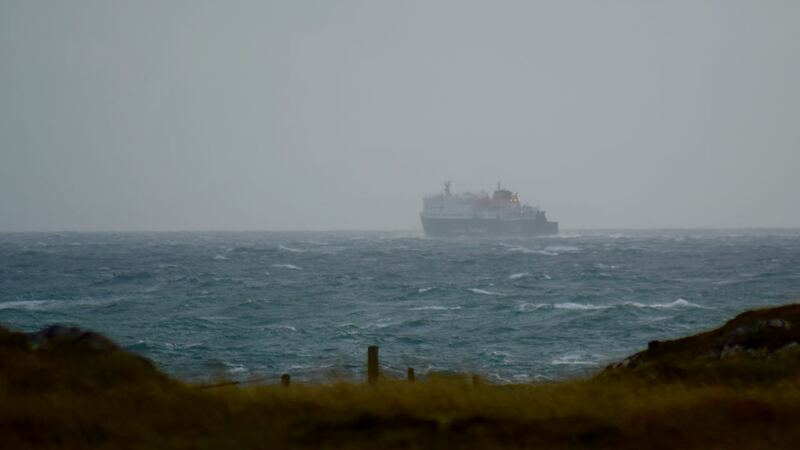 Thankfully the Clansman had berthed at Tiree. It was a strange morning. The sun was shining but the wind was strong. With the SE Wind gusting to 44 mph there was a considerable swell running. This morning was a great example of skill and team work. The Skipper, the crew and the pier staff each playing their part. As a consequence what was a busy ferry was able to berth safely. Life on Tiree has great admiration for all concerned.